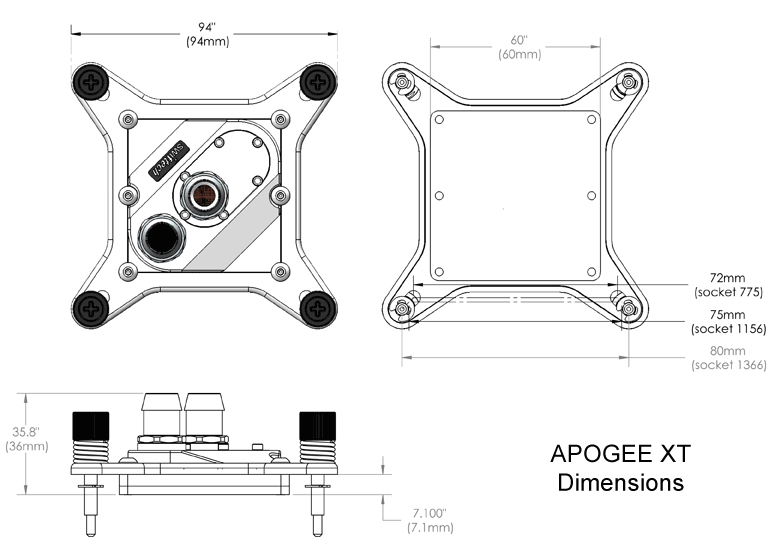 Apogee XT comes together with the pressure plate (top) compatible with all Intel Core platforms. As for now, the package only includes s.1366 backplate, however, beginning from the mid October the package will also include s.1156 backplate. To those of you who bought it without s.1156 backplate the company promises to sent it free of charge. 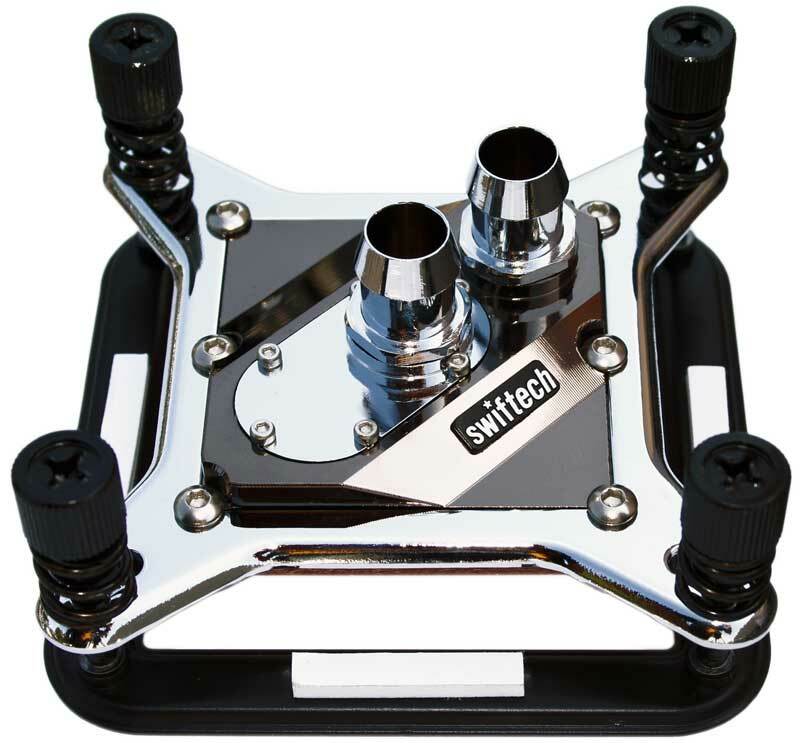 Mounting kits for other sockets or platforms is optional and can be bought separately. The package also includes 1/2″ fitings while 3/8″ are optional.